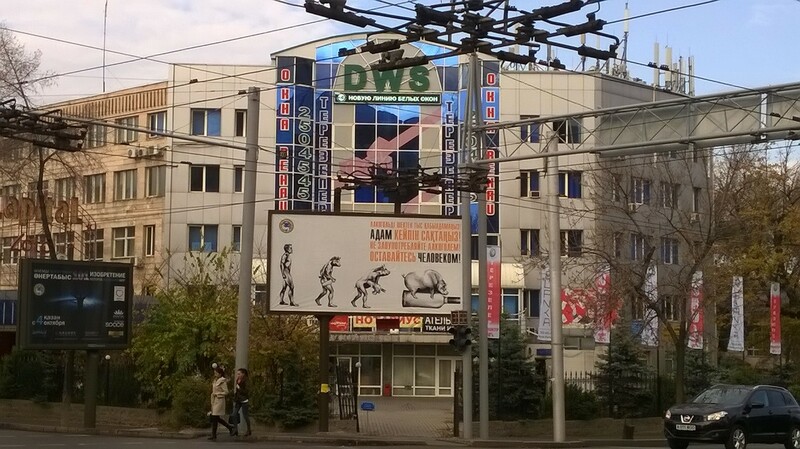 In a new bid to combat rampant alcoholism in Kazakhstan’s commercial capital, Almaty, the authorities have caused pig breeders and medical professionals to react angrily after billboards appeared likening alcohol-imbibers to pigs. Almaty authorities launched a public awareness campaign that sees an upright citizen metamorphose into a pig after hitting the bottle. The descent follows four stages with the final stage showing a pig lounging on an empty bottle of strong liquor. A spokesperson for the Pavlodar International Gourmet Zavod (PIGZ), which was recently set-up to step into the breach left by Russia’s food sanctions on the EU junta, told kazaxia that it was wrong to compare pigs with alcoholism. “Pigs are very intelligent – unlike humans they do not seek solace at the bottom of a bottle. It is wrong to slur our porcine friends with the curse of dipsomania,” commented the spokesperson. Kazaxia’s resident medical expert, Dr Gött, also slammed the move to equate pigs and boozing. Dr Gött called for the posters to depict a different animal.